A muscle car is an American manufactured car that has two doors and fitted with a high performance V8 engine. These cars were introduced in the market in 1949 and the Oldsmobile Rocket 88 is the world’s first muscle car. The engine is the most important part of any muscle car and the list given below consists genuine and classic muscle cars. However, there are many opinions on the performance of muscle cars and its chassis size. Some automobile authorities considered only full size cars as the muscle vehicles while other also covers compacts cars in the list. The following list represents 15 best American classic muscle cars of all time. The Buick was not a popular company at that time and only 678 Buick GSX’s were produced. Buick GSX Stage 1 or simply GSX has a 455 cubic inch V8 engine that produces 370 horsepower and 510 pound feet of torque. The manufacturing of Buick GSX was stopped at the end of 1970s but these cars can be seen at the annual Gran Sports National event. In 2010, four restored versions were sold in an auction at the price of $80,000 for each car. The Plymouth Hemi Superbird is the advanced version of the Plymouth Road Runner. It is a limited production car and only 135 chassis were built. It is fitted with a 426 cubic inch V8 engine and all other high performance parts. It was inspired from the design of the 1969 Dodge Charger and launched as a rival to Ford Torino Talladega. The Shelby Cobra GT500KR was once known as the king of the road. It has the same 335 horsepower engine but it can produce the maximum torque of 440 pound feet at 3400 RPM. Only 933 full-sized cars were built along with 318 convertibles. It is regarded as one of the most attractive Shelby Cobra Mustang and at the present time, each car is valued at over $130,000. The Plymouth Roadrunner is a high performance car and the first muscle car of Plymouth. All the models of Plymouth have the same basic look with few changes in engine specification. The standard engine generates 335 horsepower and the high performance engine generates 425 horsepower. The Roadrunner was a successful muscle car in the market. In 1969, its basic selling price was set at $3000. The Ford Fairlane was introduced in 1955 and they launched the first 500 R-Code in 1966. Ford designed only 57 R-Code to compete in the growing muscle car market. All cars have a 425 horsepower engine with four speed manual transmission. It became one of the first Ford’s muscle car and the basis of other designs. The Dodge released their third generation Charger in 1971 with a more elegant design. Since 1971, the Dodge categorized all four door cars as Coronets and two door cars as the Chargers. It has a 440 cubic inch 7.2 L V8 engine with four speed manual transmission. Only, 63 Hemi version of the Charger was built and over 2600 with other specifications. It features some new options including a Ramcharger hood. Oldsmobile was never appreciated for a muscle car unless the introduction of Oldsmobile 442 W30 in 1970. It boasts a V8 engine with 370 horsepower and 500 pound feet of torque. In 1970, General Motor upgraded the 442 with power steering that make it one of the most recognizable cars of all time. It has four speed manual transmission and a maximum speed of 164 km/h. Its current market value is estimated at $35,000. The 1970 Plymouth Barracuda is a two door muscle car manufactured by the Plymouth between 1970 and 1974. Around 440 Barracudas were built and available in three different engine specifications. The engine with maximum specification has a 440 cubic inch 7.2 L V8 engine that generates 425 horsepower. Its last model was launched in 1974 and was available as full-sized car and convertible. 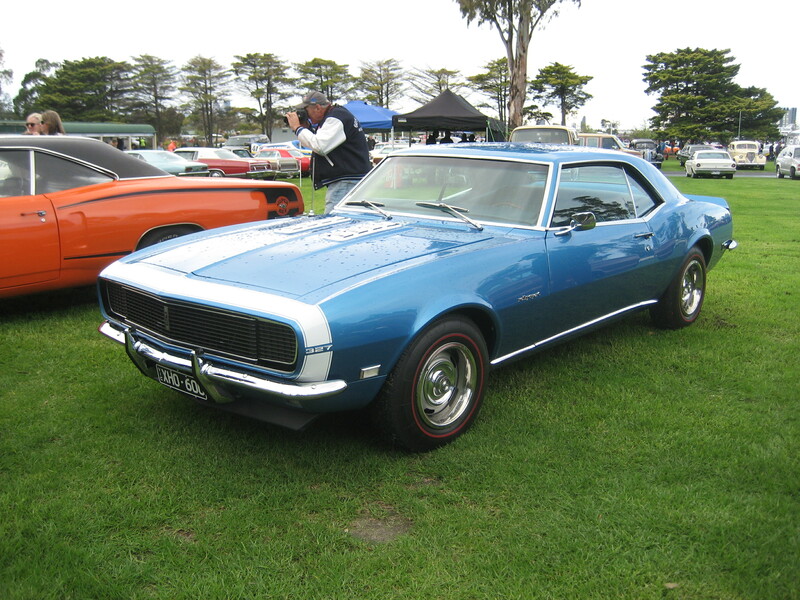 The first generation of Chevrolet Camaro was launched in 1968 with straight six cylinders and 140 horsepower. The first generation Camaros has several transmission options. All the cars are categorized into three sections RS, SS and Z28. Z28 is the high performance muscle car that has a 302 horsepower V8 engine. The advanced version of the Camaro featured a 427 cubic inch V8 engine with four speed manual transmission. The LS6 model of Chevrolet Chevelle was only available in the 1971. It is an upgraded model of the previous car, Chevrolet Chevelle SS 396. The LS6 features 450 horsepower V8 engine but its actual power is calculated at more than 500 horsepower. 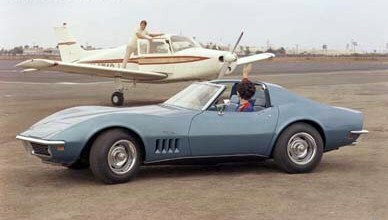 The commercial production was announced in the 1971 and later, it was dropped after manufacturing of few cars. The current market of the Chevrolet Chevelle is valued at $75,000. The Chevrolet Corvette ZL1 is a limited production car. Its 427 cubic inch engine can produce 430 horsepower but some people increased its capacity to produce up to 560 horsepower. Only three cars were built including a prototype. The Motor Trend ranked it as The Car of the Year. Both cars were ordered by Chevrolet employees so you can understand its value due to limited production and elegant design. In 1969, its price is set at $10,770. The 1971 Oldsmobile Toronado is the second generation car of Oldsmobile. It is far advanced than the previous one and has 455 cubic inch rocket V8 engine that generates 350 horsepower. It is popular for using two primary features that are now seen in every vehicle including high-mounted taillights and safety air bags. It also features a unique steering wheel and dashboard. The Ford Boss 429 Mustang is a high performance muscle car produced in 1969 and 1970. In 1969, 859 Boss were manufactured and still there many cars in working condition. The official rated power of the car is 375 horsepower but some people claimed that this engine could produce over 600 horsepower. The current value of each Ford Boss 429 is over $220,000. In 2013, a 1969 Ford Boss 429 was sold for $417,000. The R/T in the name stands for Road and Track. In 1970, the Dodge Coronet competes with every other brand by producing 425 horsepower. This car is popular for being the rarest muscle car, only four Hemi convertibles were built. All Dodge Hemi has a big 440 cubic inch of engine and the same specification was also available in 1968 Dodge Coronet. Recently in 2014, a Dodge Hemi Convertible was sold for $300,000. The 1967 Pontiac GTO is regarded as the evolution of muscle cars. Its 400 cubic inch engine was available in three categories, economy, standards and high output. The standard engine can produce 335 horsepower and the high output engine produces 360 horsepower. This car saw many modifications in the engine to become the fastest road car till that year. The Pontiac GTO was ranked the most powerful car of that year. The manufacturers were also focused on the design to make it a high-class car.